Scam calls may make up nearly half U.S. traffic next year, data suggests, up from under 4 pct last year. Society bears the costs in wasted time and swindles. The experience with email shows engineering will eventually provide more consistent relief than laws or fines. 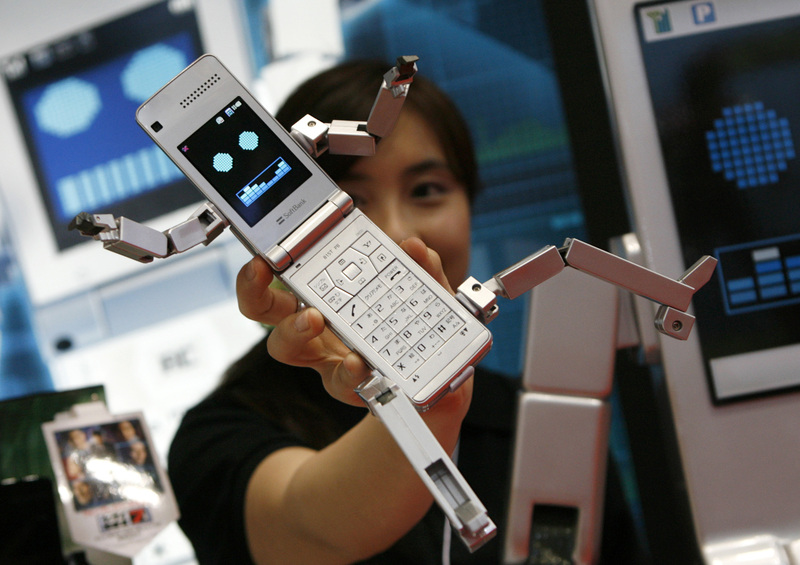 A woman poses with the SoftBank Mobile Corp's robot-shaped mobile phone "Phone Braver 815T PB" at the International Tokyo Toy Show in Tokyo June 19, 2008. Nearly 30 percent of calls made to U.S. mobile phones in 2018 were fraudulent, according to First Orion, a caller identification and control company. The estimated percentage was under 4 percent in 2017. First Orion projects the proportion of scam calls could reach 45 percent in 2019 absent more effective measures to counter them. Last November, the Federal Communications Commission authorized operators to proactively block calls from numbers that hadn’t been assigned, from area codes that didn’t exist and other conditions that meant the numbers could not be legitimate. The FCC says complaints about unwanted calls make up about 60 percent of all consumer complaints to the agency. The FCC has levied $200 million of fines against illegal robocallers since the start of 2017. The Federal Trade Commission says the number of illegal sales calls, particularly using automated systems, has increased dramatically since 2009.